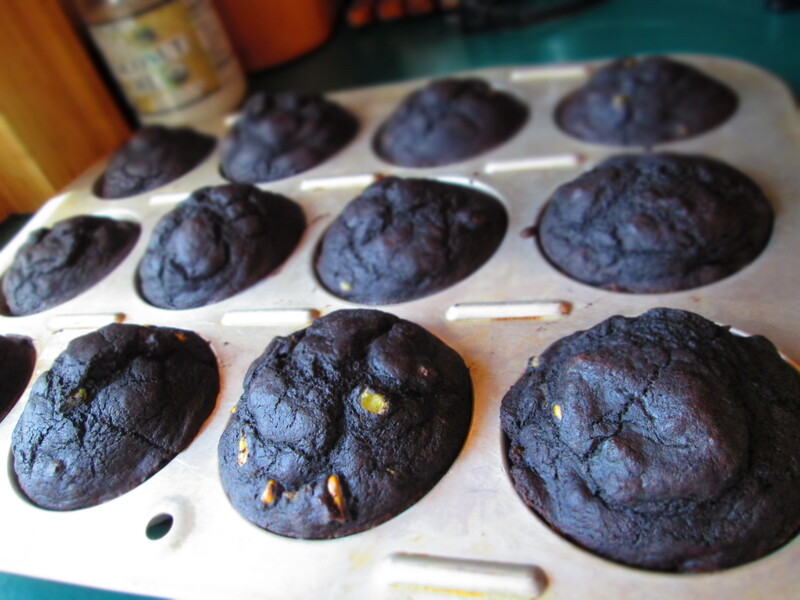 For some reason, I got it into my head that I wanted to make blue corn muffins, and what follows is my recipe. But first, let’s talk about corn. Corn is, unfortunately, one of the most genetically modified crops in the United States. Unless you buy corn that is specifically labeled organic, you can be absolutely certain that the corn you just purchased has been genetically modified. And it isn’t just the corn that you eat, it is also the corn that is fed to the animals that you eat, and that means animal products as well—i.e., eggs, cheese, yogurt, etc. Organic products aren’t cheap, though. Some people who are health conscious but can’t afford to go totally organic have a list of products that, if nothing else, they always buy organic. If you are one of those people, keep corn on that list. Organic blue cornmeal is available (Arrowhead Mills has it and can be found in Whole Foods, other natural food markets, and sometimes well-stocked supermarkets). 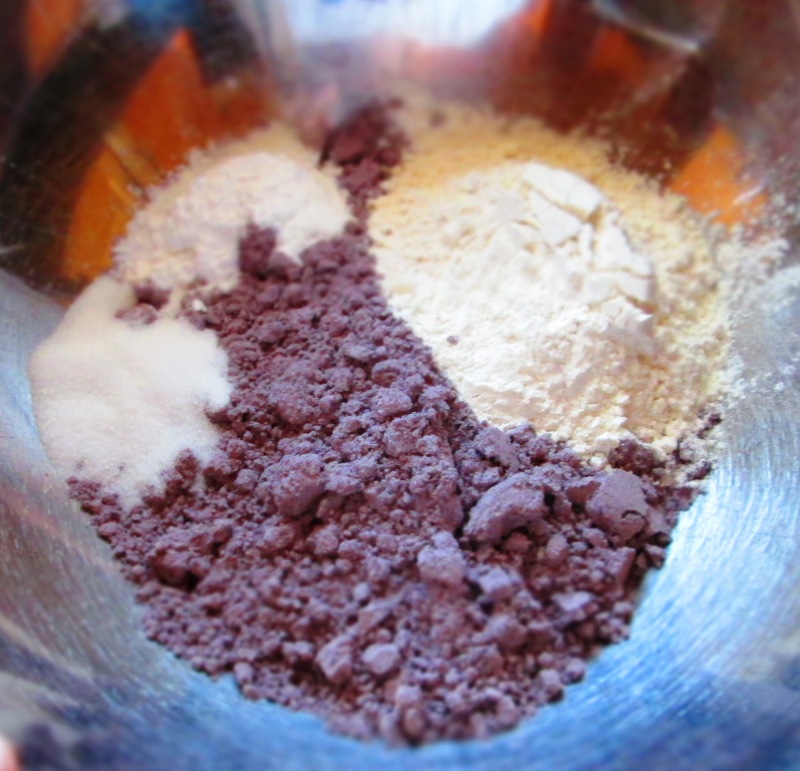 However, I wasn’t able to get my hands on organic blue corn meal in time to make the muffins when I wanted to make them. 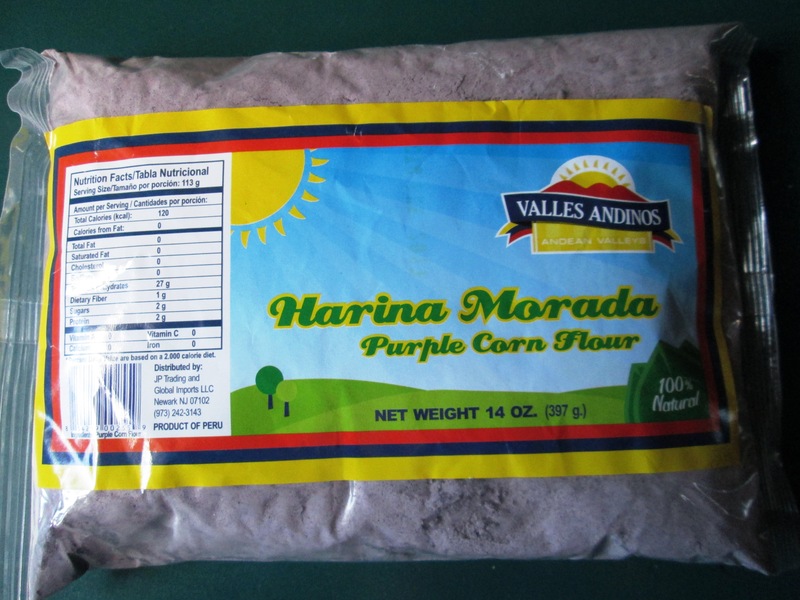 So, I made the conscious decision to use blue corn meal that I picked up at a Latin supermarket near where I work. Having said that, I urge you to use organic corn—in all its forms—whenever possible. Now, onto the recipe. 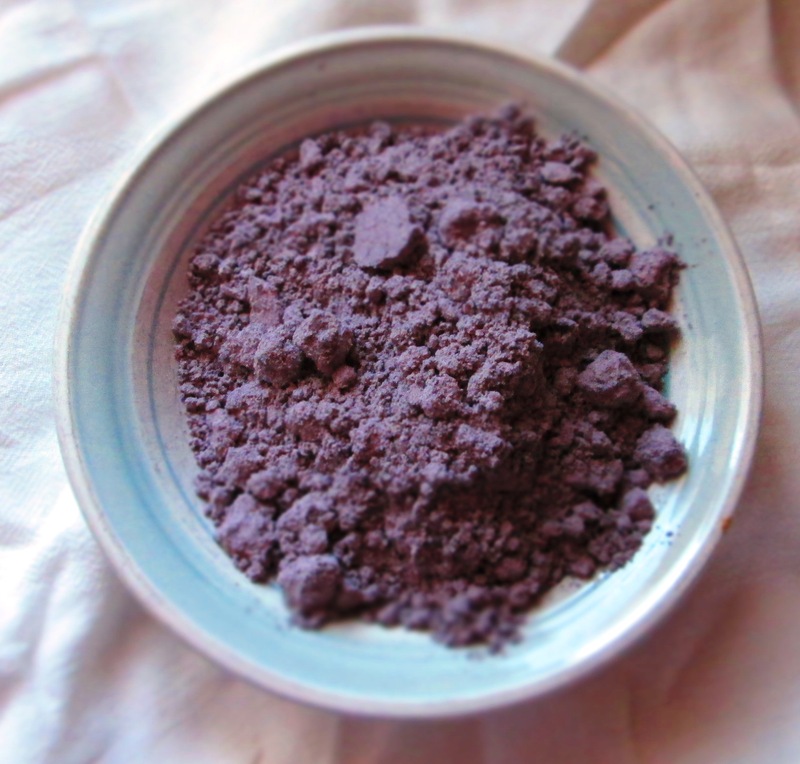 Blue corn meal makes for a beautiful purple batter, but the final product isn’t as vibrant. It’s usually a light lavender color. 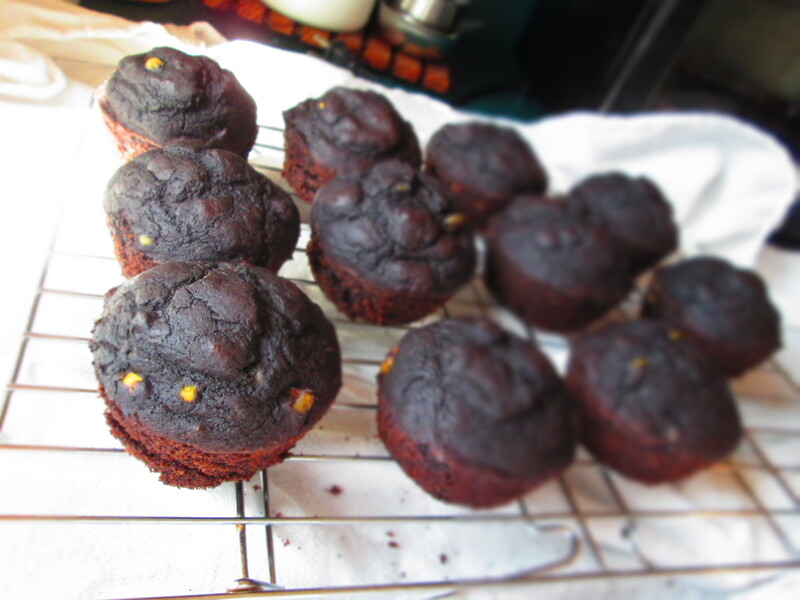 I’m not quite sure why mine came out so much darker than the average blue corn muffin—I suspect that my ratio of cornmeal to all-purpose flour was too high. 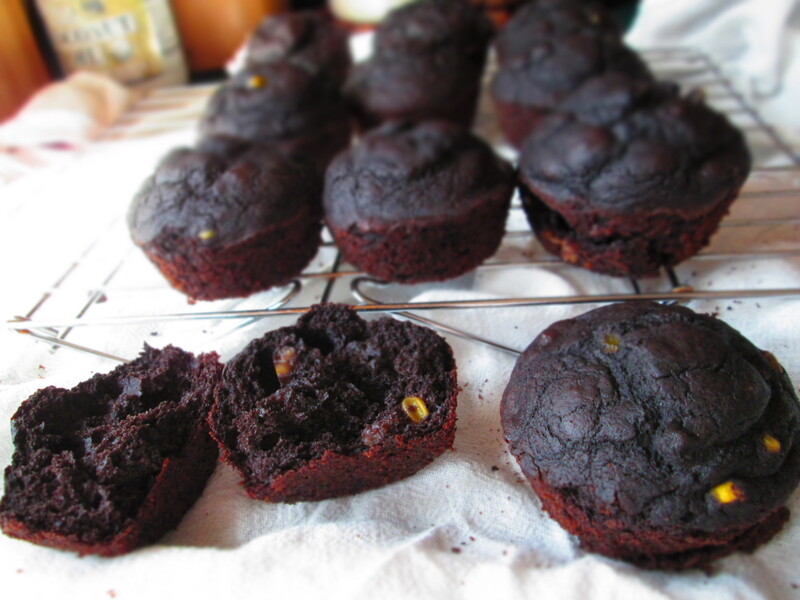 Nevertheless, I decided that I like them and am keeping the recipe as is—at least for now. I like to add corn to the batter for an extra bit of texture, but you can omit it if you like. Next time, I’m going to do a gluten-free version. Enjoy! Preheat oven to 425°F. Grease the cups of a medium 12-cup muffin tin, or line them with paper cupcake wrappers. 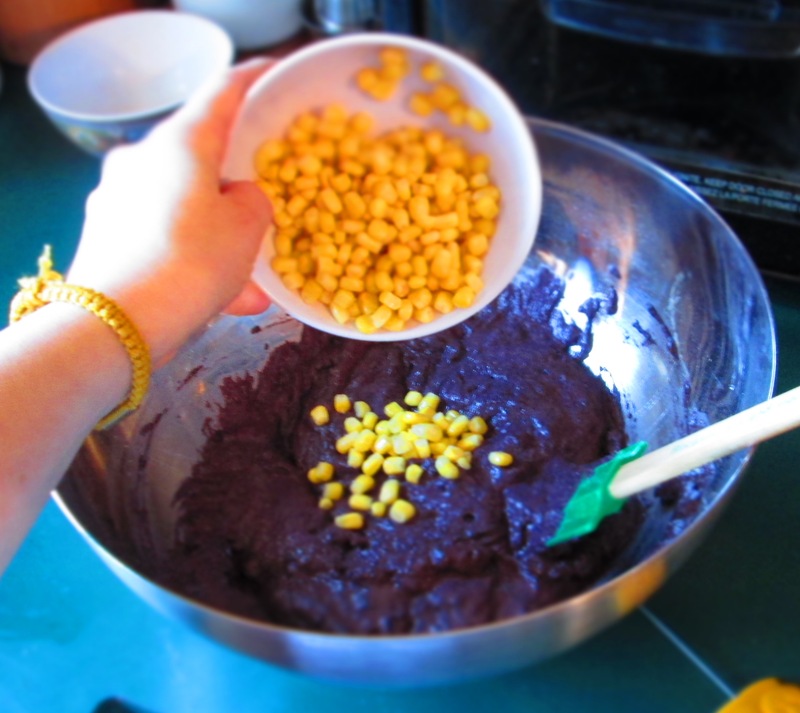 In large bowl, mix all the ingredients, except the corn, with spoon or rubber spatula just until mixed. Fold in the corn, if you’re using it. Fill the muffin cups equally. Bake 20 to 25 minutes or until a toothpick inserted into the center comes out clean. Place the tin on a rack and let cool. If you try to remove them immediately, they’ll crumble. If you have to, run the tip of a knife around the edges to loosen them. Turn them out onto the rack. Serve warm or at room temperature. Enjoy with butter and jam. 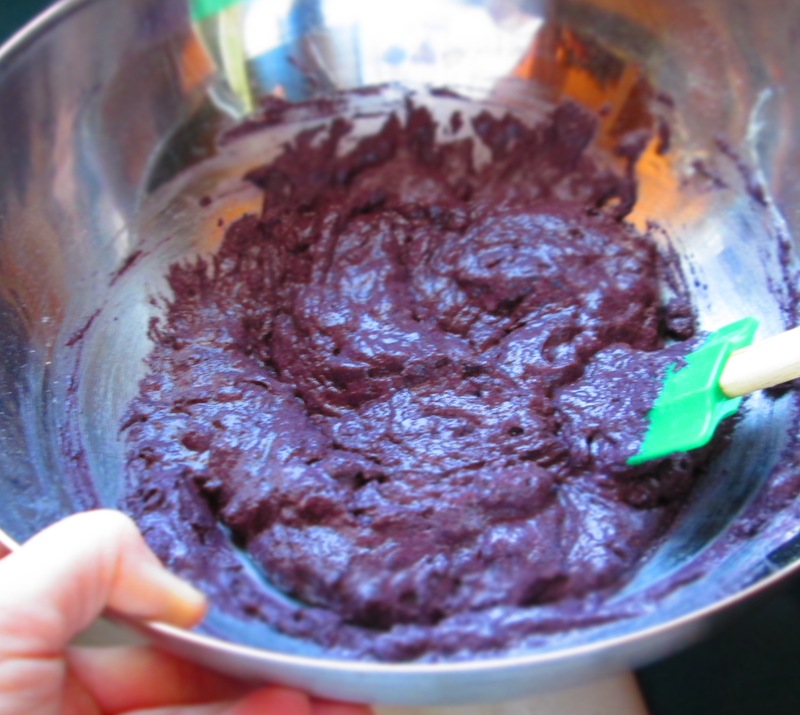 Categories: Baking, Bread, Breakfast, Cakes, Grains, Recipes, Uncategorized | Tags: baking, blue corn, cornmeal, muffins | Permalink.